Pamina by Billini. 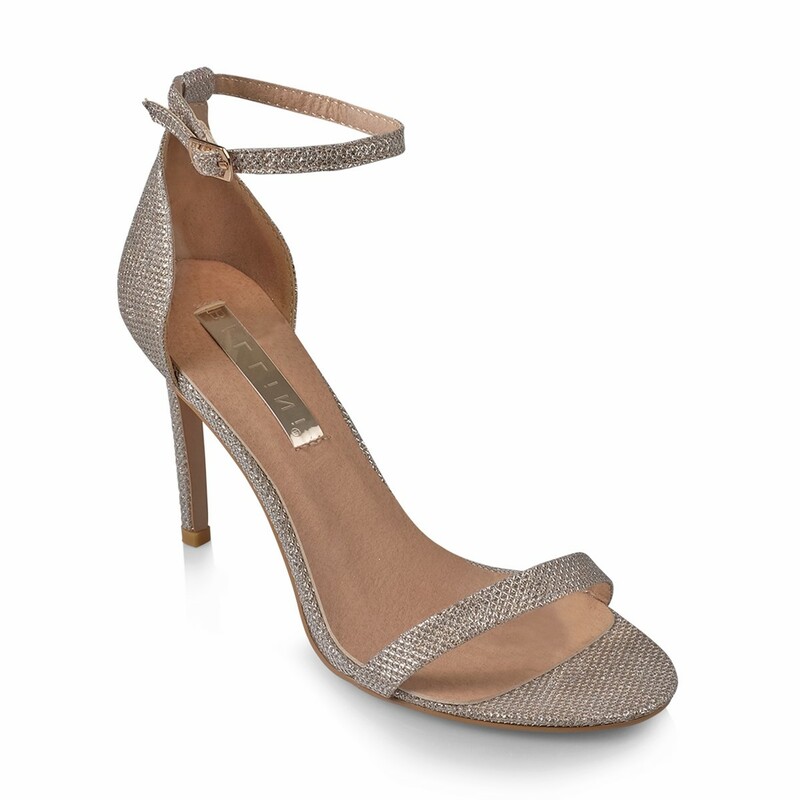 Pamina in a beautiful light gold mesh glitter shoe with stiletto heel. 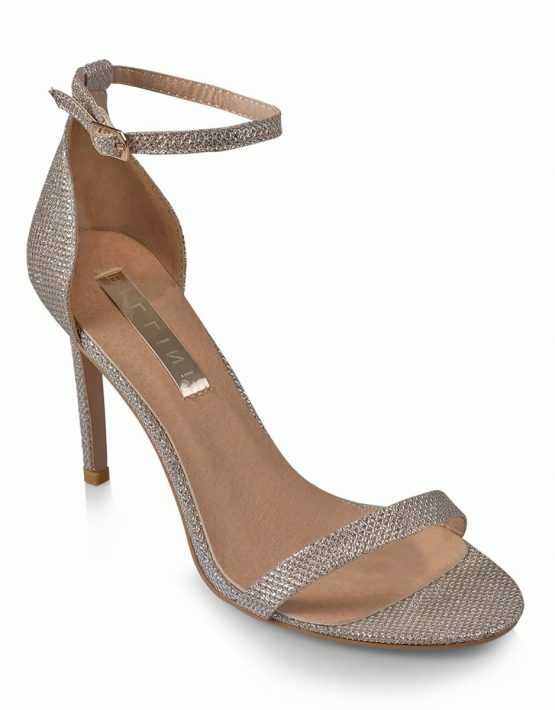 It features a slim adjustable ankle strap and open toe design. 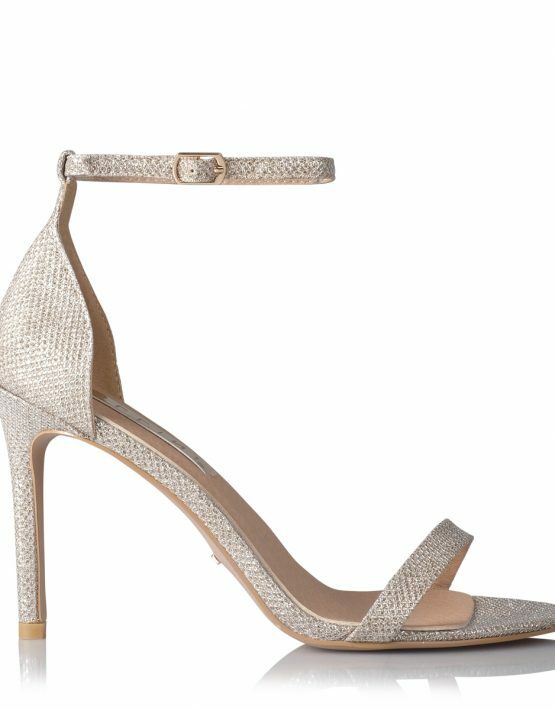 An elegant shoe perfect for the bride who wants something a little different or the bridesmaids adding something special to the bridal party. This classic wardrobe essential is a must-have that will take you from day to night.